Sweet and Salty Pineapple Jalapeño Poppers – a unique flavor twist on everyone’s favorite party bite – sweet pineapple is a natural flavor pairing, and buttery cracker crumbs are a tasty topper to this spicy bite! If you follow me on Instagram (you should! we have all day picnic parties! ), you may have seen me mention a couple cookbook projects I contributed recipes to. 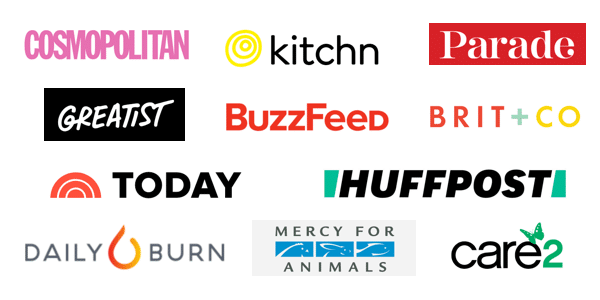 During the planning process, each of us submitted recipe ideas to the publisher. I love jalapeño poppers, and had some great ideas for this classic party recipe. Those recipe ideas were cut early on. I didn’t even submit this particular flavor concept, so it wasn’t the reason for refusal. I have now made these for two different parties and once more just because, and I had to share because, oh so yum. I should just make my own book, an All Jalapeño Popper cookbook. Ooooh, that’s not a bad idea. Also, I must provide a Public Service Announcement. If you make these, and then have leftovers, and then want to reheat those leftovers, do not warm them in a Science Oven. The first time I made these, Jason was not home. They were not for a party, they were the first test at the recipe. I took one piece out of the fridge when Jason came home, put it on a paper towel, and popped it into the microwave. Like, level seven, 25 seconds. After 9 seconds, I heard a FOOMP and the pepper was on fire. So please – just warm these up in the oven or toaster oven if you have leftovers – they are just as tasty when reheated and they will not spontaneously alight into fire. I am pretty excited about these, the flavor is just as I’d hoped when I first dreamed it up – mildly sweet and spicy, with a buttery crunch. So fun and unique – I hope you try them. Preheat oven to 350 ºF. Line a baking sheet with parchment. In a small mixing bowl, add pineapple, cream cheese, and quinoa, stir to combine. Using your hands, crush 18 Ritz crackers into the pineapple cheese mixture, stir to combine. Fill each half jalapeño pepper with a heaping tablespoon of filling (see photo for example – the filling can be above the line of the pepper). Place peppers on baking sheet, filling side up. Crush remaining 8 crackers, top each filled pepper. Bake for 15 minutes, or until golden brown. Remove from oven and allow to cool several minutes. Serve warm. For a bit of cool to offset the heat, dip in Celery Ranch Dressing. Oh hey, these have quinoa. A Strange But Good Dinner. Fill each half jalapeño pepper with a heaping tablespoon of filling (see photo for example - the filling can be above the line of the pepper). Place peppers on baking sheet, filling side up. Crush remaining 8 crackers, top each filled pepper. Wait! Ritz crackers are vegan???? How did I not know this??? This looks amazing and I cant wait to make them! Thank you! YESSSSSSSS INDEED they are! one of those accidental vegan surprises. Mmm. This is more than a little amazing. I’m love me some heat. Vegas looks at me like I’m nuts when I eat slices of raw jalapeños. Whatever. Thanks for linking it up! I may make these for our next dinner party… with a mezcal cocktail… wanna come over? YES PLEASE! you and Jason will get a long just fine – he loves his fresh jalapeños too. you should have seen him in Mexico – we’d ask a restaurant to bring the hottest salsa. one place, the chef came out with a warning, ‘this is pretty hot…’ Jason tried it… “do you have any hotter?” ‘okay, but it is very hot…’ “yes please, bring the hottest you have!” … and this went on a couple more times. they didn’t believe Jason could handle it, ha! That animated GIF has me completely mesmerized. I could watch it for hours. This recipe is so awesome. I love combining pineapple and Jalapeno. ha, aren’t the gifs fun, Rini? 🙂 I agree – jalapeno and pineapple is SO good. we make these often! These are my kind of appetizer. I will have a lot of jalapeños from my garden and this would be a great way to use them up. The sweet and spicy together is a great idea. YES! I hope you do make these, Julia – enjoy! 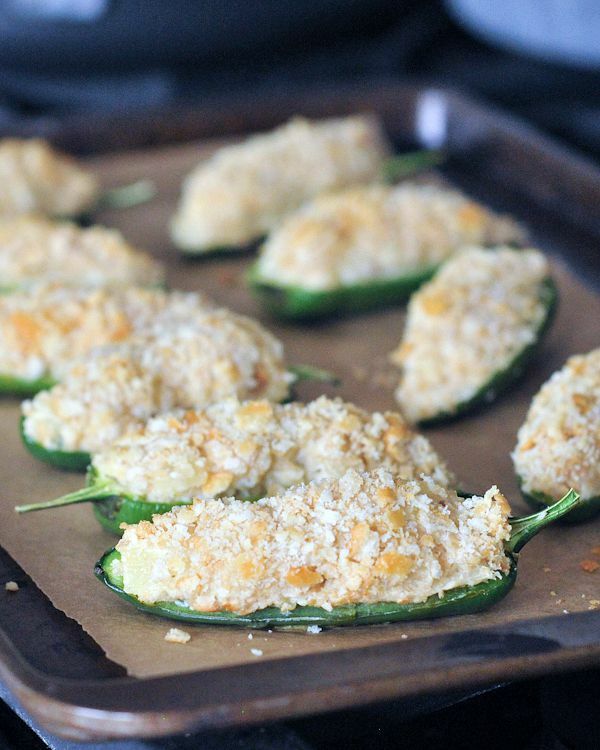 I love jalapeno poppers, these look delicious! What a unique and creative idea, love this! thanks Florian! they are pretty tasty! right, Chrysta? quinoa means these can be a meal, yes? I think you’re definitely on to something with an “All Jalapeño Popper” cookbook! Get it going in time for holiday ideas and inspiration! 😉 These sweet and spicy pineapple jalapeño peppers are a delicious flavor pairing and luv the use of quinoa. ha! hmm, don’t know if I could get it done before the holidays… but it IS something to consider! First…recipe looks great! I love to light my food on fire…but not literally! What a great tip! ha! yes. I was so surprised. I cannot believe this is the first time I have had this happen, actually, considering the amount of peppers we use in this house! Vegas won’t eat anything spicy… so can you just come feed these to me? HA! I had some jalapeno poppers over the weekend but they had the seeds in them and they were SO spicy I could only eat one! I think I’d like them much better like this! yes, I like heat, but not the kind that makes me cry, ha! I remove most of the seeds even from jalapeno – that reduces a good amount of the heat!